Watch how sayesha and her friends visit a vegetable farm. 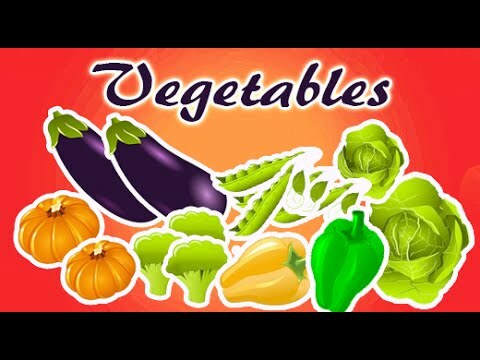 They all come to know that vegetables are the nature's very special gift to everyone to stay healthy. The Cauliflower looks like a flower its big and round. The Cabbage is round and green, cabbage and cauliflower look similar. The Brinjal's is an egg shaped vegetable, its purple in colour. The Bitter Melon is long and green, it has thick green skin and has a bitter taste. The Capsicum belongs to the chilly family, its big and its the largest pepper. Capsicum's are big and are in many colors. The Spinach grows on the ground, its green in color and gives lots of strength.Spinach is a leafy vegetable. The Peas are small and round and sweet,the peas grow on the ground covered with green shell. The Pumpkin grow on the ground, pumpkins are orange in color.Pumpkins are round like a ball and are big. Vegetables are natures gift, one should eat vegetables daily.